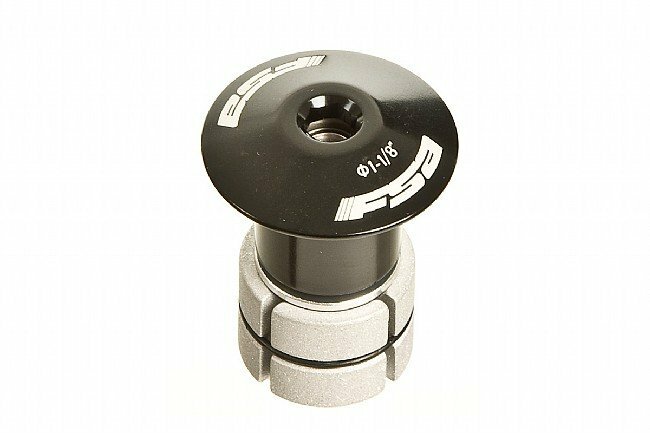 The FSA Compressor Plug is a top assembly for forks with carbon steerer tubes. Replaces the traditional top cap/star-nut assembly to set the pre-load for headset bearing adjustment. Fits 1-1/8" steerer tubes. Includes cap, bolt, and expander. 53g.